How would tsunamis work on a ball? 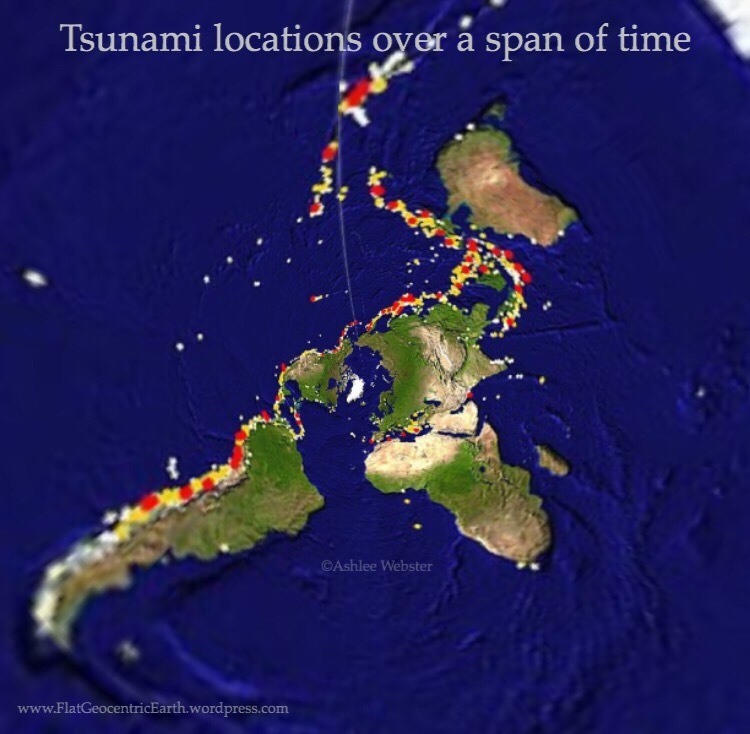 A tsunami is basically a shallow-water wave, even in deep seas. Tsunamis typically have wave lengths of 200km, which makes them shallow water waves even in the ocean. These waves have insignificant wave heights at sea, but in shallow coastal waters they can exceed 30m (100 ft). They may travel thousands of kilometers across the ocean nearly unnoticed until they reach land. Earthquakes in the Aleutian Trench regularly send large seismic waves across the Pacific Ocean, affecting Hawaii and the coastlines of the North Pacific Ocean. When an earthquake occurs, energy will be transferred to the water, resulting in water waves. As the waves reach seashore, because the sea depth is getting shallower and wavelength is getting shorter, the height of the wave gets push up, resulting in tsunami. In other words in deep sea, water won’t get pushed up as high as the water in shallow seashore. So, what is wrong here? 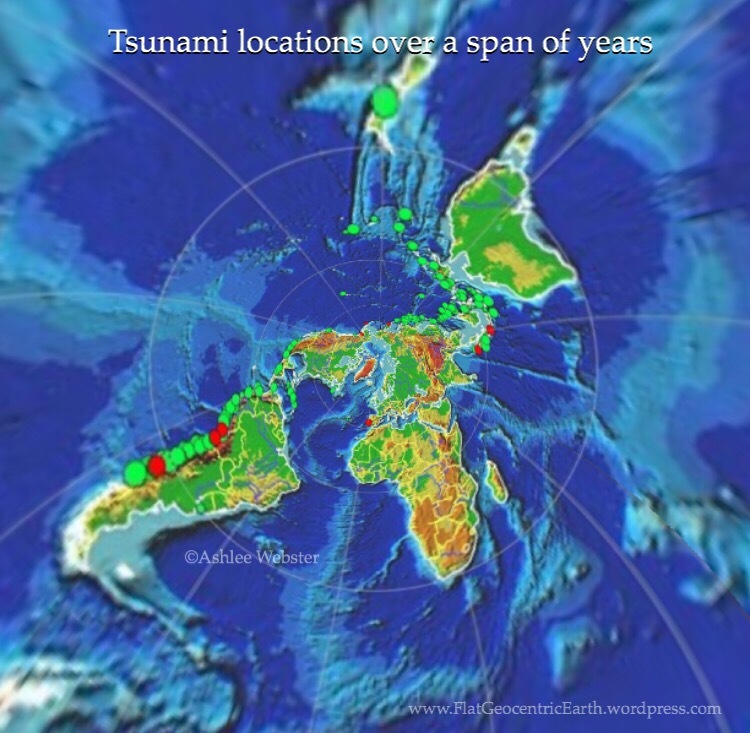 If the Earth were a globe, tsunami waves would get stronger and bigger/higher with every mile as they DESCENDED DOWN the Slope, so that the final results of most of typical tsunamis would be so disastrous that we would witness to similar consequences (as we had seen in “tsunami 2004.” case), almost – ON DAILY BASIS!!! 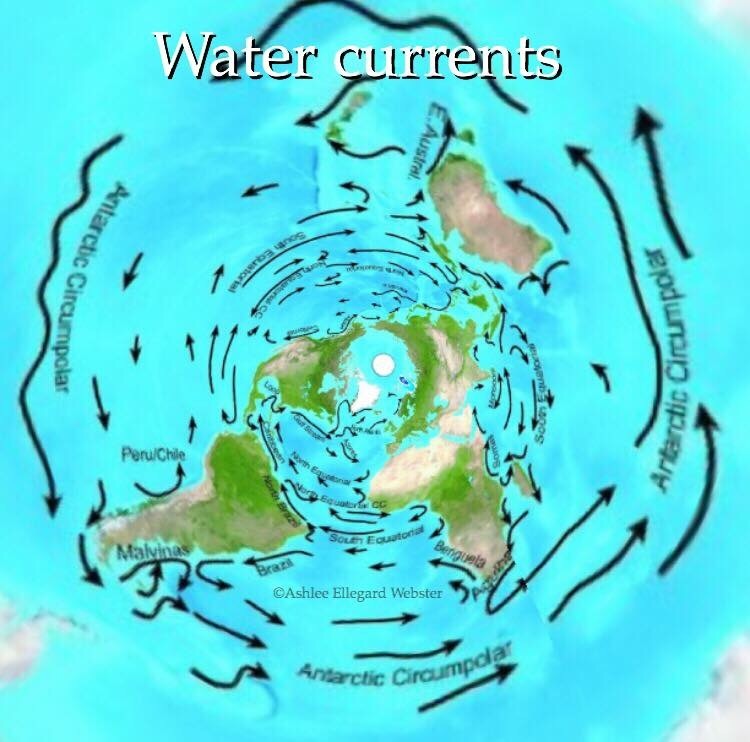 If the Earth were a globe, the mechanics of every minor tsunami would be very similar to the mechanics of a typical avalanche (in mountain region), that is to say, oceanic coastal regions would be practically uninhabitable. Now, The distance between Padang Sumatra and South Africa is more then 5000 miles. What value of inclination should we take into account regarding that distance (on a supposed globe)? 5000 miles distance = 5000 KM inclination which is equivalent to 568 Mount Everests in a row!!! 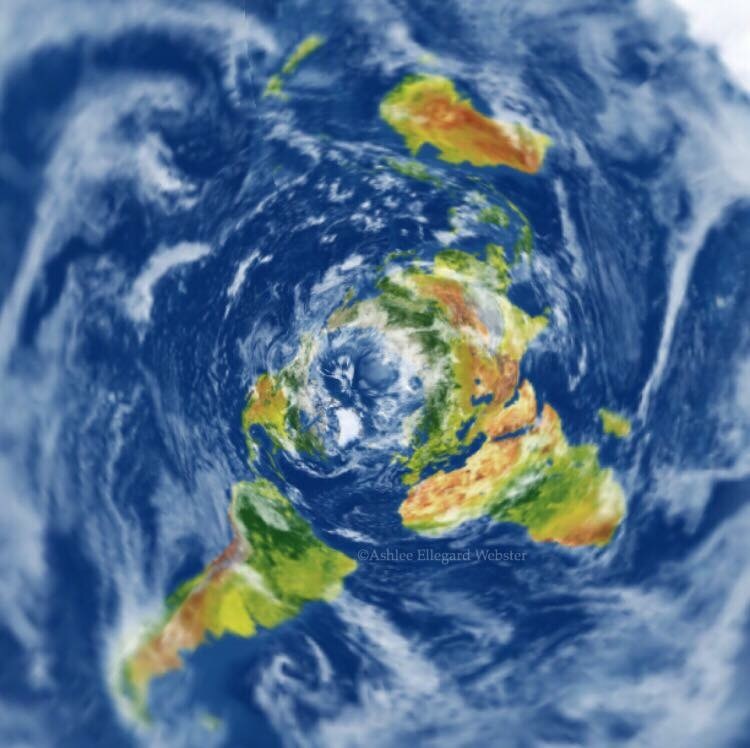 Now, if we take as a reference point half a distance between Sumatra and South Africa, we should suppose that first half of that distance, tsunami wave should climb up 1250 km (which is equivalent to 142 Mount Everests in a row) in order to be able to begin downhill down the ocean slope! Try to combine second obstacle with the alleged rotation of the Earth in a direction West-East! The only possible inference is that the Earth is FLAT!! !